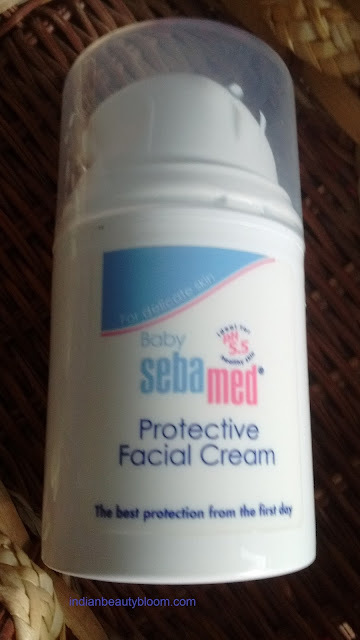 Today i am going to review one more product from brand Seba Med , its Baby Seba Med Protective facial Cream . Seba Med is a famous brand from Germany which has a wide range of skin care products for adults and babies . Seba Med products are good because they use botonical non allergic ingredients , their products have PH value 5.5 which is ideal for baby’s skin . 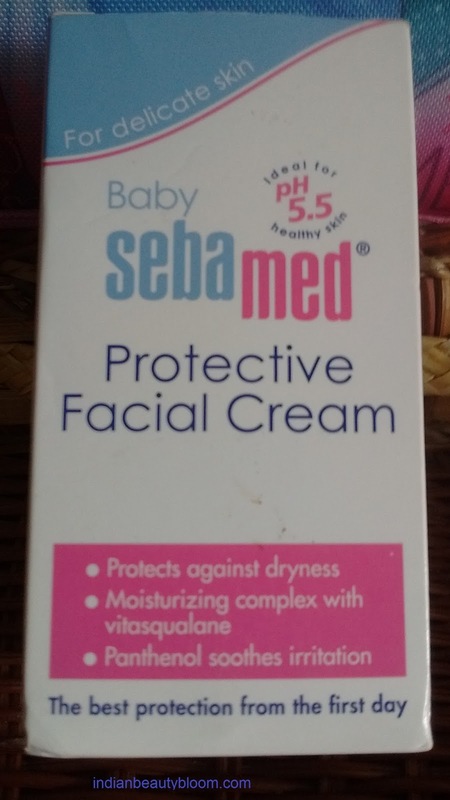 Seba med protective facial cream is a cream for young ones which protects the skin from dryness ,soothes the skin , safeguards against irritation around the mouth from saliva . 1.Contains Vitamin E which is good for skin . 2.Has PH value 5.5 which helps to maintain the skin mantle . 3.Free from harmful chemicals . 4.Contains panthenol which protects from irritation around mouth because of saliva secretion . 5.Dermatologically and clinically tested . 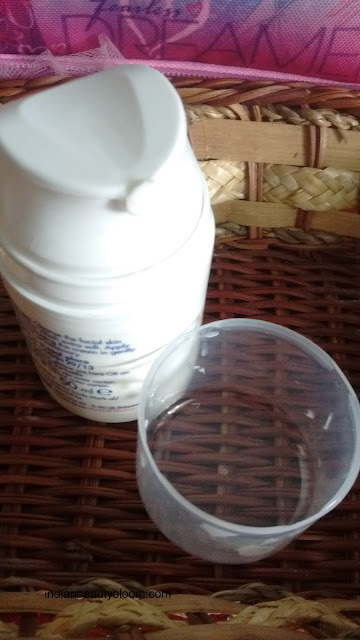 The cream comes in a good quality plastic bottle which has an excellent packaging . 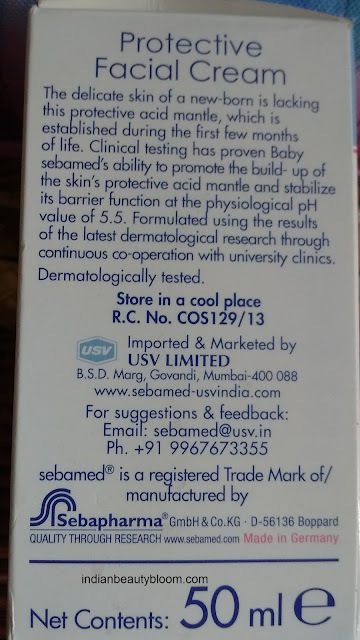 There is a pump using which one can take little cream and apply it to baby’s skin . The pack is travel friendly , can be easily carried in a bag or purse . 1.Clinically tested so safe for baby’s skin . 2.Does not contain any harmful chemicals . 3.Excellent packaging which is travel friendly . 5.Completely moisturizes the skin and keeps it moisturized for a long period of time . 6.Easily available every where , on online stores as well as Medicine shops . 7.Has PH value 5.5 which is ideal for baby’s skin . Bit expensive but it’s Okay if we consider the good factors like its chemical free and helps to maintain PH value of skin . So if you want your little ones to have smooth and problem free skin do try this wonderful cream as our little ones deserve THE BEST . 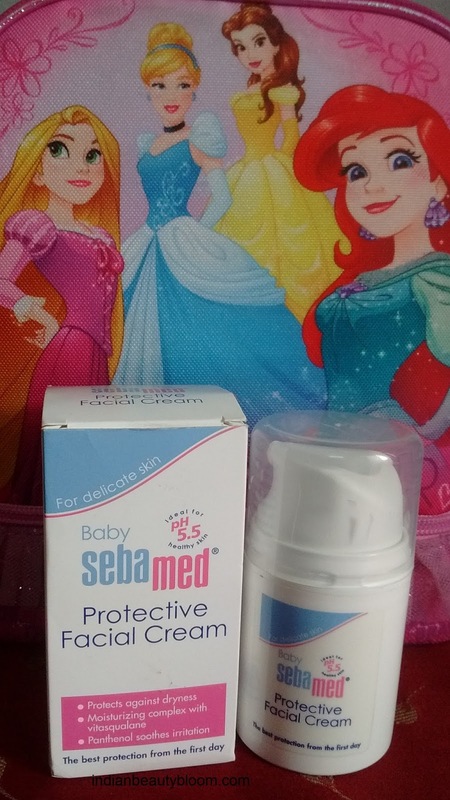 I have used several Seba Med products for my kids , all are good . So its an expert opinion from my little ones , do share your experience with Seba med products .